It is with great sadness that we announce the passing of our friend and colleague Allan S. Hay, who passed away peacefully on August 14, 2017. 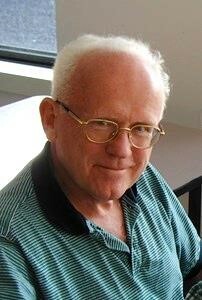 Prof. Hay had an international reputation as one of the most creative and productive polymer synthesis chemists of all time. He made landmark discoveries in reactions leading to polymers/plastics that have had enormous impact on commercial products for the last 50 years. Allan Hay received a B.Sc. and M.Sc. from the University of Alberta (1950, 1952), and a Ph.D. in Organic Chemistry from the University of Illinois in 1955. He was a research chemist and later manager at General Electric Research Laboratory in Schenectady, New York, where his creativity and remarkably ingenious organic reactions (e.g., "polymerization by oxidative coupling") led to development of GE's PPO® and Noryl® thermoplastic resins, which offered a lightweight, inexpensive alternative to metal alloys in a host of applications. PPO and its blends now have worldwide sales of over $1.5 billion. He also oversaw the development and commercialization of ULTEM®, a high temperature polyimide resin manufactured worldwide. Allan Hay retired from GE in 1987 and started his second career as a professor of polymer chemistry at McGill University, where he directed the research and supervised the training of several dozen masters, doctoral, and post-doctoral students. He held the GE/NSERC Chair of Polymer Chemistry (1987-95), and Tomlinson Chair in Chemistry (1997-2014). He retired from McGill in 2014 and moved back to Niskayuna, New York. Prof. Hay published over 300 papers in international peer reviewed journals and was an inventor on over 100 U.S. patents. Prof. Hay’s list of prizes, honours and awards is representative of the breadth of impact that he had. He was a fellow of the New York Academy of Sciences, the American Association for the Advancement of Science, the Royal Society of London, and the American Institute of Chemists. He received the Society of Plastics Engineers International Award and Gold Medal (1975), the Achievement Award of the Industrial Research Institute (1984), and the Macromolecular Science and Engineering Award of the Chemical Institute of Canada (1998). In 1987 he was awarded an honorary Doctor of Science degree from his alma mater, the U of Alberta.